Today I am revealing my secrets to you guys... DUN-DUN-DUN. No really I feel like I am sharing something personal, maybe how someone would feel sharing a journal or something because to me, interior design is something personal and where I get inspiration is personal to. Everyone is different and that's something I learned throughout the process of decorating this new house. Yes, you might find something on Pinterest as inspiration but its okay for it to not end up the way things have been planned because lets be honest, nothing ever goes to plan. I am not an interior designer by any means, nor do I think my interior design is that ground-breaking, but I do think that a lot of you are curious about how I organize my thoughts and the pictures in my head into reality. That's what I'm here today to share with you guys. First things first, the Notability app. 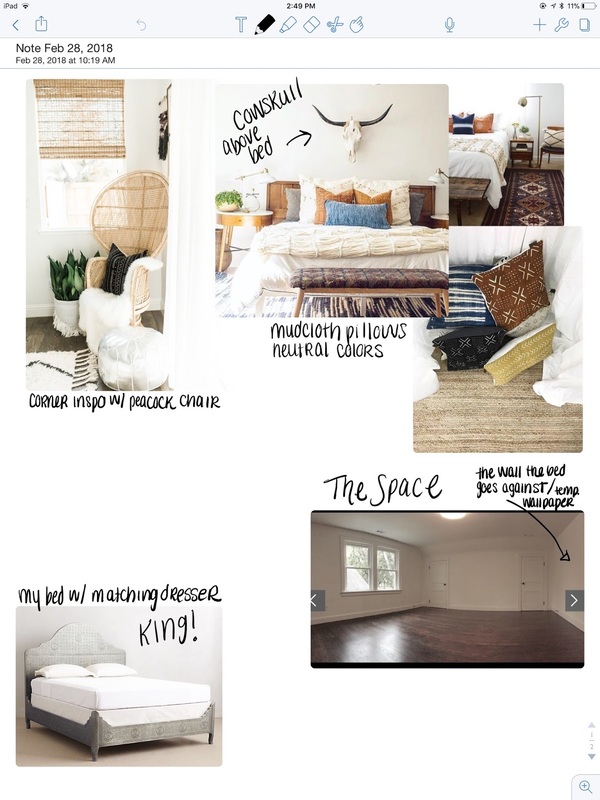 As soon as we signed a lease, I was writing down the things I "needed" to bring my vision to life and something that helped during this listing process was incorporating the pictures that I use for inspiration next to the lists. There are a lot of apps that you can do this on, I'm sure Word works too, however I chose to use the Notability app on my iPad Pro. This app rocks. No seriously, the app is literally one of my favorites and most used apps on my iPad to date. I'm a list maker, I love writing things down and so when I discovered this app, my whole life changed. Suddenly I didn't need to hoard a billion notebooks because I had everything I could need on my iPad in this app. My "mood boards" are different than interior designers in the sense that it combines what I want the vibe or feeling of the room to convey along with the things that I want to help achieve the goal. Seeing everything in one place is so helpful for me, I'm not one for separating my thoughts and whenever I have something I need to execute, I just put all out at once. This is why I like the way I do my own attempt at a mood board. It's also super helpful when it comes time for shopping for the products that I'm looking for because often times, I shop in places like Home Goods which can be overwhelming if you don't know exactly what you're looking for. Keep in mind the pictures are inspiration and once you start designing, your design is going to turn out different with your own twist! Where do I draw my inspiration? Well anytime I see something I like for interiors on Instagram, I save the image for one day to look back on. When it's time to start compiling what I want my room to look like, I go through all the saved IG's and screenshot, crop and paste them into my Notability document. I do the same thing with my Pinterest. I have a special secret board where I can pin my inspiration pictures. I do pin a lot of home decor inspiration so be sure to follow me on Pinterest if you don't already. Do you still use Pinterest? I still love it so I hope other people out there are still using it too. 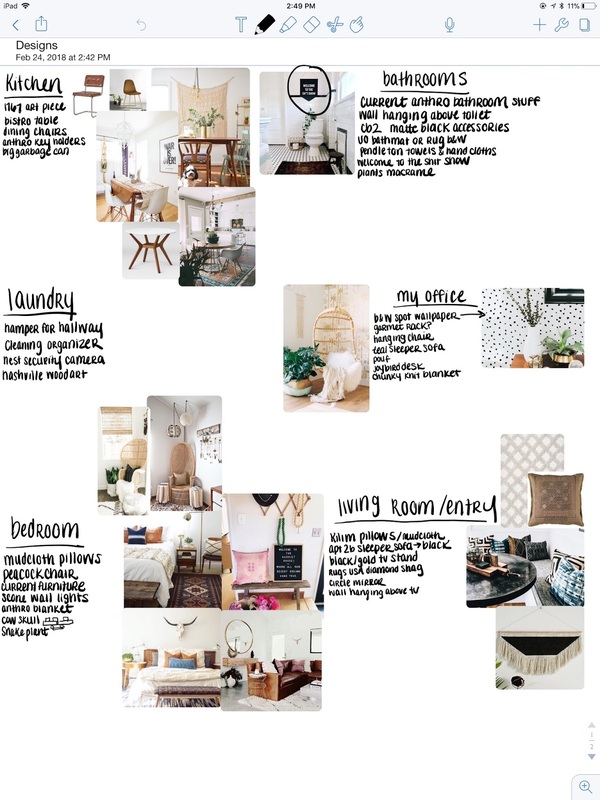 My "mood boards" for my apartment and houses are that easy and that casual. Honestly this iPad Pro is a BOSS at everything so I recommend upgrading to the Pro if you're on the market for a new iPad or tablet. Besides that though, this can all be easily done on an actual poster board, word document, or I'm sure there are other apps that do the same thing, this is just what I use. I hope you guys found this helpful! Love this! Such a cute and cozy style! 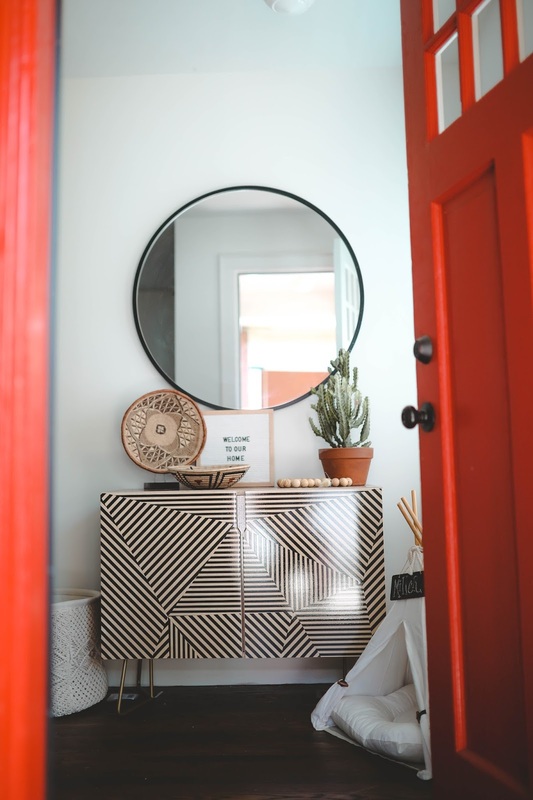 In the event that you long for a vocation in inside outline or you're searching for motivation and direction to re-style a room or revamp a home – we have a course for you.